fields. 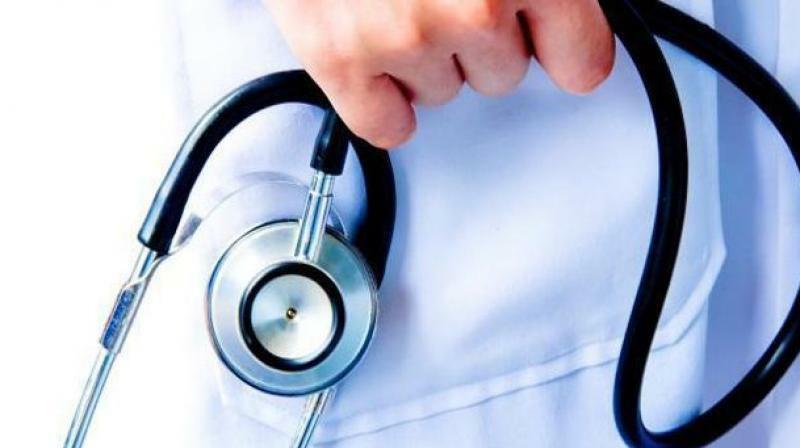 GNM may work in a variety of health care settings within both the public and private health care sectors and may operate in hospitals, nursing homes, hospices, the arm forces, community centers, health care facilities and college universities among other health care settings. 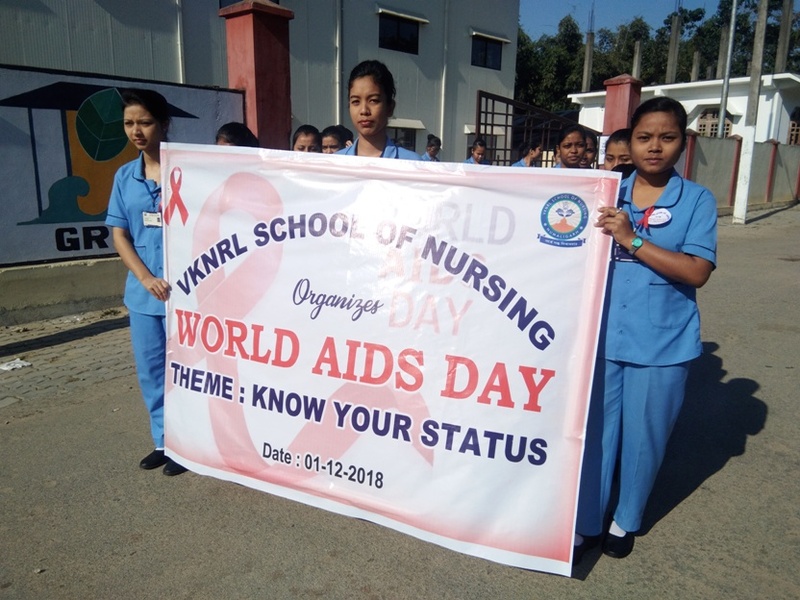 VKNRL School of Nursing celebrated World AIDS day on 1st December 2018. The program started with rally from school campus to Sapta Swahid Mini PHC, Ponka, by students, faculty and staff of the school which was followed by a street play at Telgaram. Leaflets and pamplets regarding prevention of AIDS were also distributed among the people .The main objective was to create awareness and remove stigma against HIV and AIDS among the public. The 2nd phase of the program was Lecture Session. The Session started with Tin Omkar Mangalacharanam followed by felicitation of the guest. The dignified guest were Dr. Ratul Baruah, Incharge, Ponka Mini PHC, Mr Hemanta Saikia, President Morongi Press Club, Mr. Priyangdeep Kakoti, Secretary Morongi Press Club. Each of the guests spoke on the theme of World AIDS day 2018 and significance of creating awareness about HIV and AIDS. 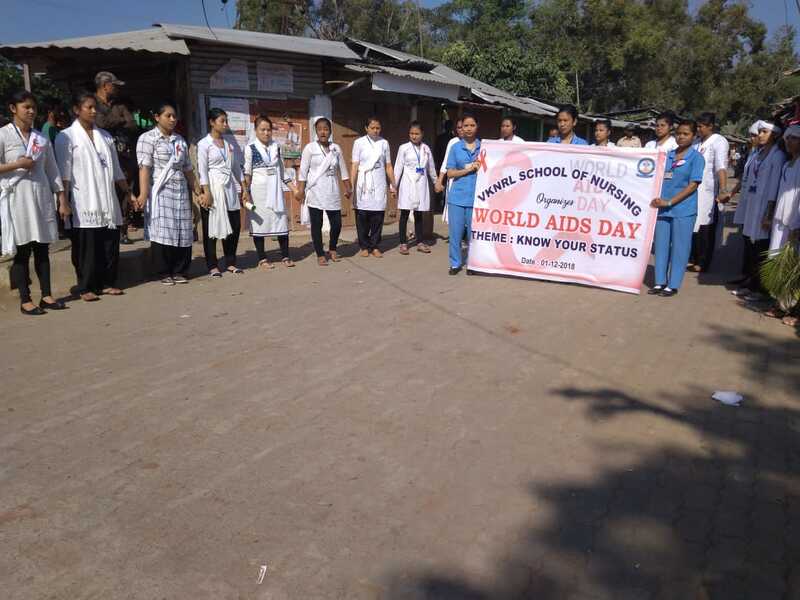 The resource person of the session Dr Chakra Dhar Barman SDM&HO, School Health, Golaghat and Dr. Panchanan Khakhlary explained about the main aspects of HIV and AIDS. The legal, ethical and psychosocial issues of patient living with HIV was focused by Ms Namita Chetri, Principal Incharge VKNRL School of Nursing. 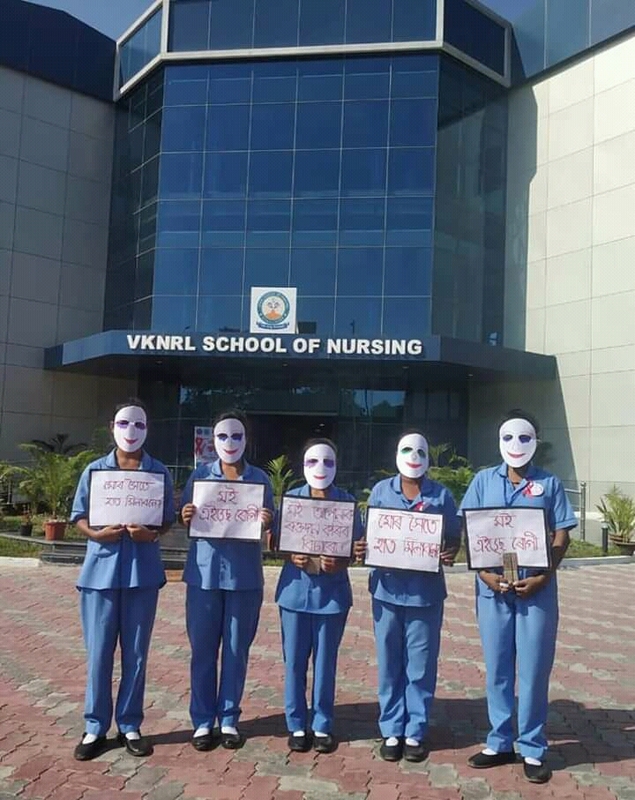 It was very much effective for the students and staff of VKNRL School of Nursing as well as the public. 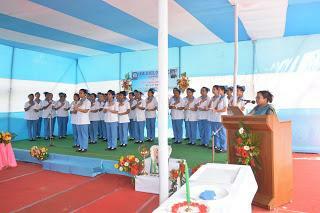 The programme ended with Vote of Thanks by Ms. Namita Chetri, Principal I/C, VKNRL School of Nursing.